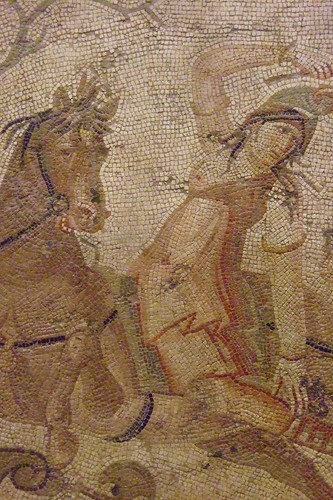 Roman Mosaic depicting a battle with Amazons discovered near Antakya Turkey 2nd – 4th century CE, originally uploaded by mharrsch. Last year a good friend of mine visited Italy with her man. 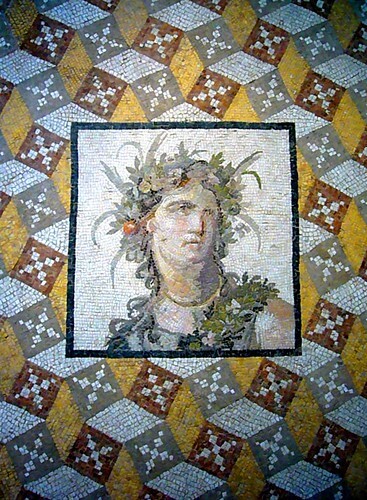 When I heard she was going I said I would forgive her for not taking me along if she sent me photos of mosaics. 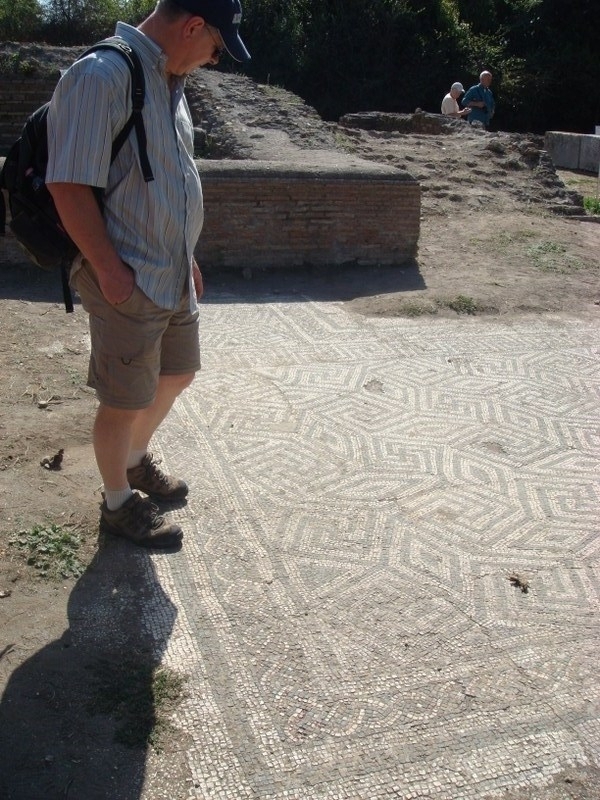 These mosaics are found at Ostia Antica. They were the floors of the bath houses. The town Ostia Antica was buried by flooding and soot settlement of the Tiber River. It was a major harbour city for Rome, almost 75,000 people had lived here at one time. It has more of a real life look at the people of Roman times than Pompeii. 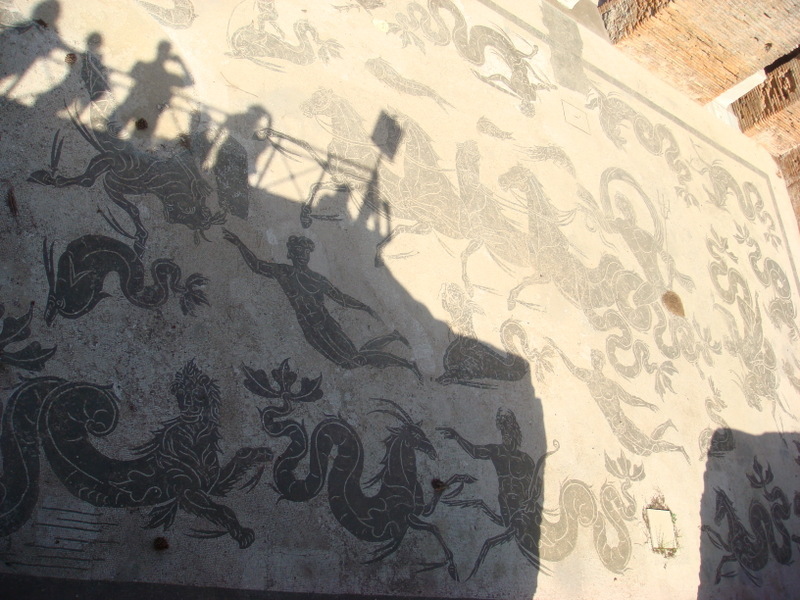 Pompeii was the ‘resort town’ with vast richness. 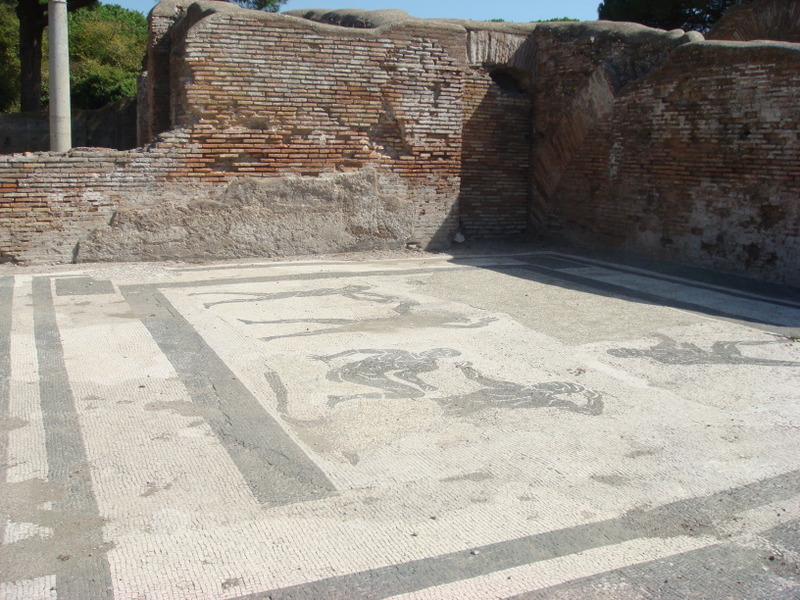 Ostia was a working town – and less crowded with tourists. Looking at Wikipedia, Ostia Antica was an important military town as the mouth of the Tiber was a potential gateway to Rome itself. It was founded by Ancus Marcius, the fourth king of Rome. Nora – Mosaici 11, originally uploaded by Tati@. Deus-Rio Aqueloo. Mais importante divindade fluvial da mitologia grega. Filho de Tétis e Oceanus., originally uploaded by Ancient World. 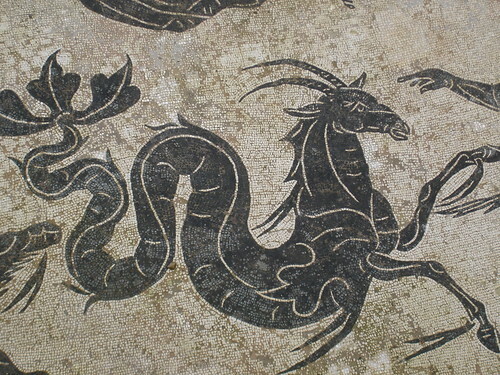 ancient capricorn mosaic, originally uploaded by egadsylvia. Mosaic, originally uploaded by idlelight. 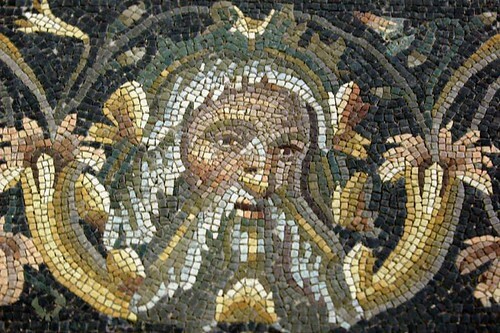 Roman Mosaic Floor Panel, originally uploaded by ggnyc. Excavated near Antioch (modern Antakya, Turkey).